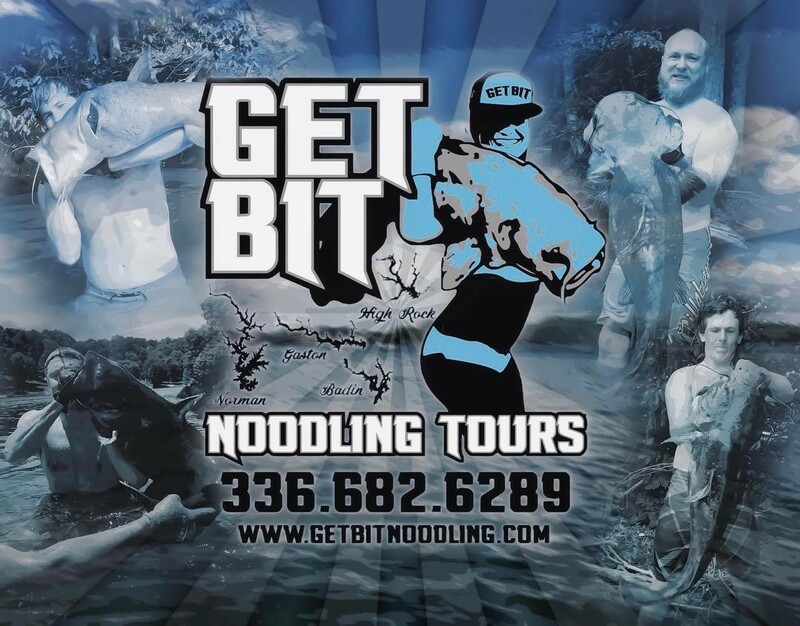 Free Get Bit Noodling Tshirt! Anyone who books a trip this season will receive a free Get Bit Tshirt to serve as your badge of honor. Water is getting warm I expect to be finding fish in the next two weeks. 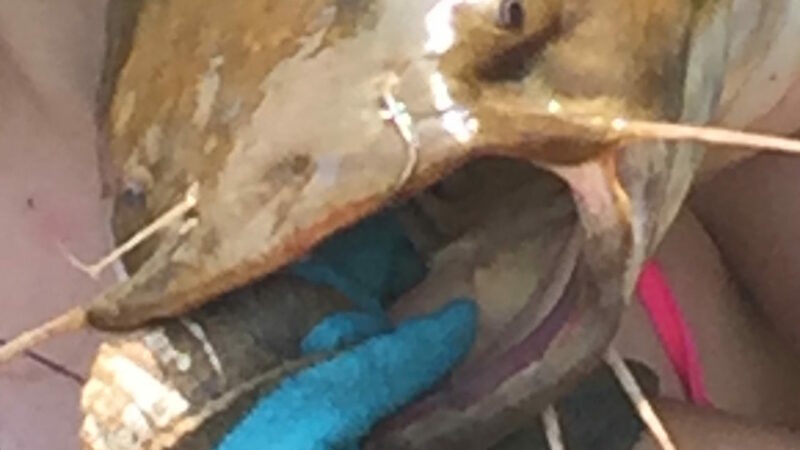 We offer two guided catfish noodling packages. Full Day and Half Day. 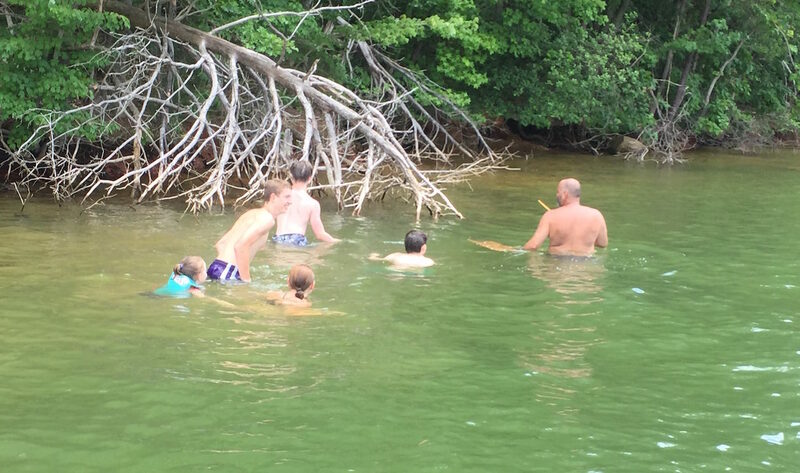 Lets put down the devices (except for pictures) and game systems for a fun family day on the lake. 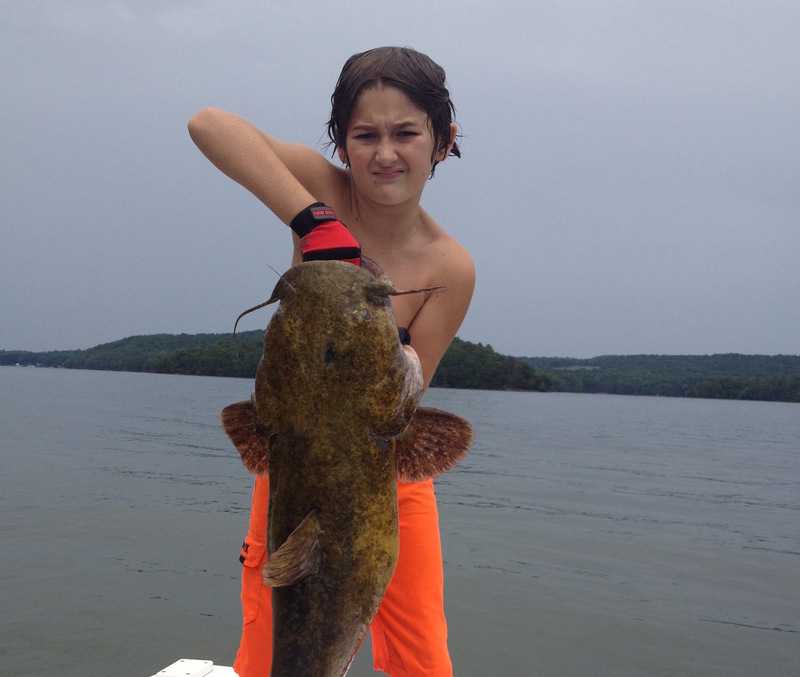 We 'hand fish' several lakes around NC, Badin, High Rock, Lake Norman and Lake Gaston. We'll pick the one we feel will be the most productive for your day! 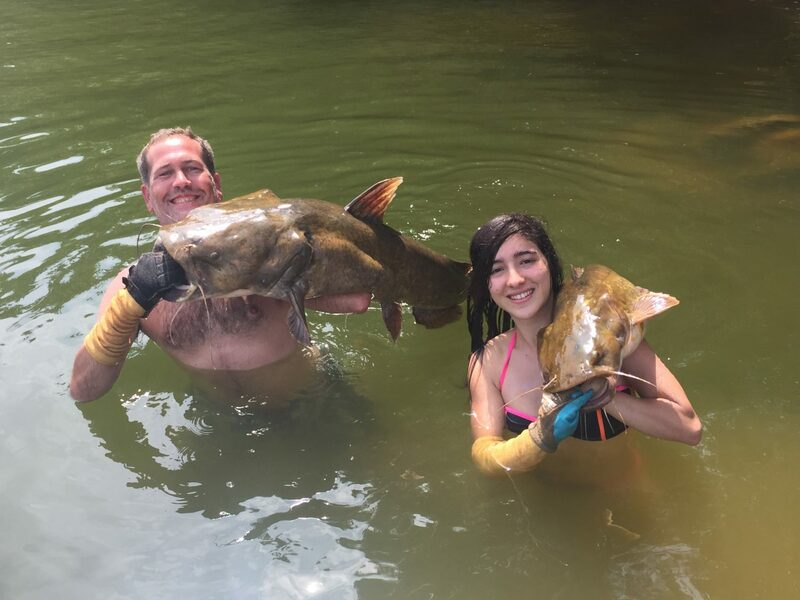 We are one of the premier catfish noodling guide services in NC. If you have ever wanted to try noodling in a safe family friendly environment, please give us a call.